If you make your way through the veil of busy Portland traffic, before your very eyes unfolds a cannabis city. Portland budtender jobs are drawing in masses of cannabis enthusiasts, among other career opportunities. Take a walk around a block or two and you will find a dispensary named after every pun possible, an alluring green “+” signaling medicine, pointing toward blacked out windows. Open the door to the reception and you may start to encounter the faint wafting of aromas from inside another door. You tell the receptionist you’re over 21, hand over your ID and wait patiently to be called into the next room. Maybe you’ve been here time and time again, or this is your first experience at a marijuana dispensary. You feel excited to see all the strains and products the shop has to offer, and you look around the waiting room at other anxious customers from all different walks of life: a business woman here, a grandfather there, you might even find me sitting there. Once you are called inside, a friendly budtender helps navigate you toward what you’re looking for that day. Maybe all you need is a pre-rolled joint or an ⅛ of a new flower strain you haven’t tried. You ask the budtender if they’ve tried it, if they like it. “Yes,” they say. “I love that one. Here, smell it.” You make your purchase, eyeing up the concentrates and topicals, planning to return sometime soon. As you bid your budtender farewell (possibly after kindly tipping) and exit the establishment, you wonder on your walk, drive, bus or bike ride home: maybe I could work at a marijuana dispensary. Portland is a mecca for dispensaries and marijuana culture in general, so it’s no surprise that the desire to obtain Portland Budtender jobs has skyrocketed. With all this in mind, securing yourself a marijuana job in Portland is easier said than done. Don’t expect to waltz up to a dispensary receptionist, no resume in hand, asking if you can have a job. Yes, it is important that you are passionate about cannabis, but arguably moreso, it is important that you excel in customer service. When speaking directly with managers and owners of dispensaries, many seem most interested in my history of effective, consistent customer service. One marijuana dispensary owner explained it this way: since recreational cannabis has become less and less stigmatized, especially in Portland, a demographic of new marijuana users is increasing. He explained to me that on a daily basis he sees everyone from 20-somethings to people in their 80s, and how important it is that every customer receives the best experience possible when purchasing a product. For many who are not used to smoking, it can be very daunting to walk into a shop where you have very little knowledge and everyone else seems to have a lot of it. It is the job of a kind receptionist, budtender and manager to guide customers through the process and use the information they give you to recommend a certain product. There is no room in a dispensary for someone who is aloof, standoffish or condescending. The other thing I hear from employers or see listed on sites advertising Portland budtender jobs is a desire for employees with perfect cash handling skills. Like any business, it’s important to keep an even drawer throughout daily operations, ensuring all transactions are carried out successfully. Additionally, employees are responsible for using basic arithmetic to measure and weigh products exactly. While this is not inherently a difficult task, it requires a detail oriented sensibility. Not to say that this category is any lower on the list than the previous two, however, it appears more common that individuals applying for marijuana budtender jobs in Portland will be passionate about the product, but not necessarily have customer service experience. That said, an interest in cannabis is absolutely key. One of the perks of working at somewhere like a marijuana dispensary is that you are exposed to an amazing array of flower, concentrates, tinctures, topicals, edibles, paraphernalia and a lot more. In this vein, it is essential that you care about each product and can differentiate from one to the next. Some marjuana dispensary managers have advised me that acquiring in depth knowledge of every product sold in the store is something that is learned upon training. Even for the well-versed marijuana enthusiast, it can be daunting to immediately be able to identify and explain everything, but it does take a good listener and a quick study to catch on. Having a history working in the cannabis industry could be a great asset when applying for a job at a Portland marijuana job. If you have worked in growing, trimming or another offshoot of the business and have found your way to Portland looking to continue working in the industry, a healthy knowledge of the plant can only help make your case during application. This seems like a no-brainer, but once again: Portland budtender jobs are customer service positions. If you show up late or fail to show up at all without adequate warning, you leave your co-workers to work double time to make up for your absence. From what I have gleaned during the interview process, lateness isn’t tolerated. What Else Should I Know When Applying For Budtending Jobs in Portland Oregon? Since the sale of recreational marijuana products sold in Oregon dispensaries are supervised under the OLCC, (Oregon Liquor Control Commission) individual employees are required to apply for and obtain a Marijuana Worker Permit. This process involves taking an online test, filling out an application and more. For more information, visit marijuana.oregon.gov. Another thing to strongly consider when applying to Portland marijuana dispensary jobs are rules involving consumption. There is absolutely no on-premises consumption allowed inside a recreational dispensary, despite the fact that it is a private business. This means that your smoke breaks will be limited to tobacco products only. Once you have secured yourself one of the many Portland budtender jobs available, there are certain duties you can expect on a daily basis during your shift, regardless of what marijuana dispensary you work for. As I mentioned above, your primary goal as a budtender is to act as the face of the dispensary–to assist customers in choosing and purchasing a variety of products. Frequency and volume of customers tend to come in rushes, similar to a coffee shop. Early evening, for instance, is prime time for customers to visit the dispensary, as many are on their way home from work. Each dispensary experiences different rushes and managers will schedule staff as they see fit to handle flow throughout the day. Working a Portland budtender job, you will be answering a lot of questions. Upon entering a dispensary, novice and experienced cannabis users alike are exposed to a wide variety of products, leading to inquires about specific strains, types of concentrates, edibles, and more. It’s not just about knowing the difference between an “indica” and a “sativa,” budtenders must be familiar with any and all strains the dispensary offers, and be able to formulate opinions on which product to suggest when prompted by a customer. Depending on the dispensary, budtenders may be responsible for personally weighing flower themselves, before or during a sale. Budtenders must be able to weigh products exactly and without damaging them. 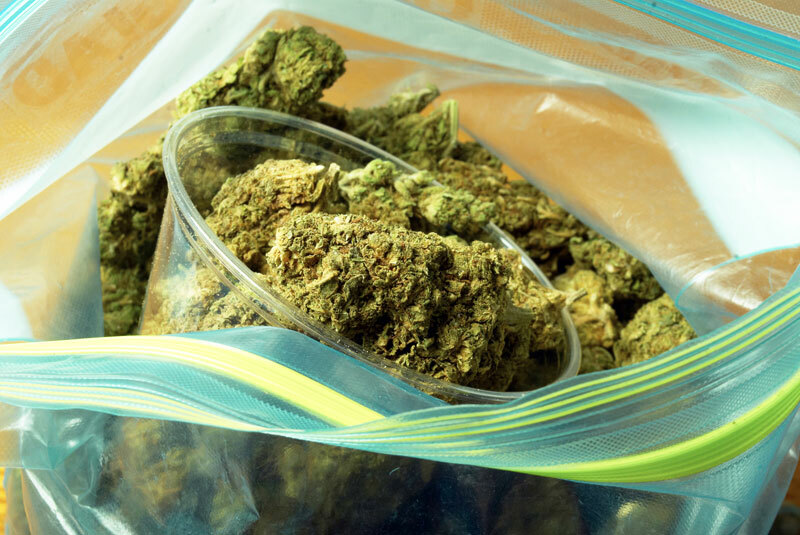 Budtenders are then responsible for packaging and processing the sale and supplying any health-related literature as administered by the OLCC. When not interacting directly with customers, budtenders may be responsible for updating social media accounts or assisting with marketing. With so much competition between dispensaries in Portland, it pays to have a hefty online presence. Additionally, budtenders may be required to update menu and store-related information to sites like Leafly and Weedmaps, which are quickly becoming necessary for advertising. An important aspect of Portland budtender jobs is maintaining store cleanliness. Keeping a neat, organized display will help give the store a professional appearance making customers comfortable and the product appealing. Aside from weighing and measuring marijuana flower to be sold in gram increments, budtenders must also roll or fill joints. Many Portland dispensaries use cone-shaped papers that allow for a higher volume of joints at a quicker speed. This is not to say that the joints can be filled lazily, as it is integral to use the right amount of flower for the joint to be filled and lit successfully all while securing the product inside. Budtending job responsibilities in Portland vary from store to store, but all dispensaries require knowledgeable, helpful budtenders and a clean store. As far as compensation and benefits go, there is a significant range in starting pay and tips, so be sure to inquire to your dispensary manager. What Next? Get Out There! Hopefully this article gives you some helpful guidance during your job search for Portland budtender jobs and dispensary jobs in general. It never hurts to be as prepared as possible! There is no doubt in my mind that the qualifications employers seek in applicants vary from person to person, however, from the experiences of a Portlander working in the cannabis industry, I’ve noticed certain trends in the dispensary application process. Portland Oregon is truly an amazing city, and it’s the perfect one to be undergoing such huge growth in the cannabis industry. Marijuana budtender jobs in Portland, especially ones at dispensaries, will experience constant, albeit, random turnovers, so it is integral that the potential applicant stay on their toes and is ready to go when a job opportunity presents itself.